Size of the bag was great. A lot of pockets to store everything and keep it all organized. 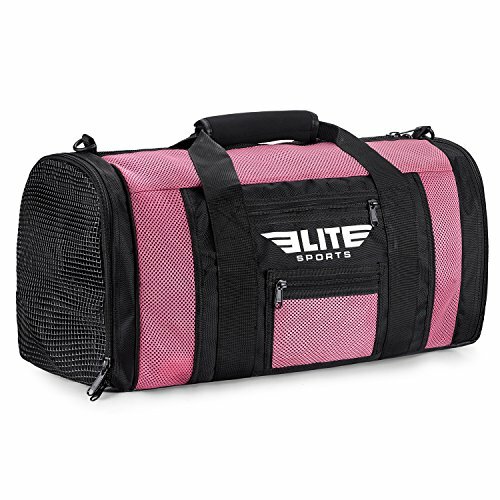 I’d been hunting for the perfect gym bag for a while, and this Elite Sports bag is as close as it can get in my opinion. 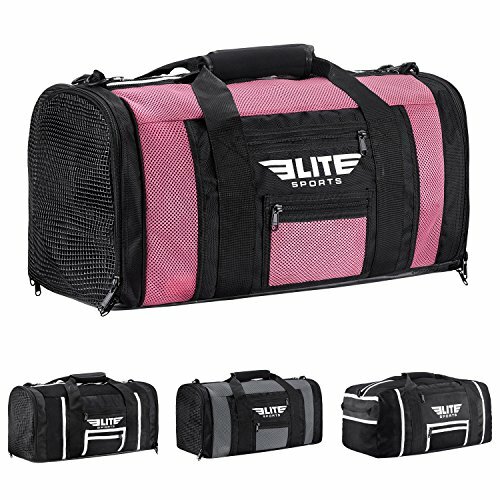 I’ve been using this bag for the past month or so to haul all my boxing/MMA gear to and from practice and I absolutely love it. It’s big enough to house my boxing gloves, MMA gloves, shin guards, Jiu-Jitsu Gi, Jiu-Jitsu belt, mouth guard, hand wraps, etc. yet small enough that it doesn’t take up a lot of room in my car. It has plenty of pockets to keep all my stuff organized and easily accessible. I really like the fact that it has dual hand straps and a removable padded shoulder strap. I really like the simplicity of it as I have never been a huge fan of crazy designs. The “craziest” thing about this bag is that it’s pink, but it’s not an over-the-top neon, pink color and they did have other color options to choose from. 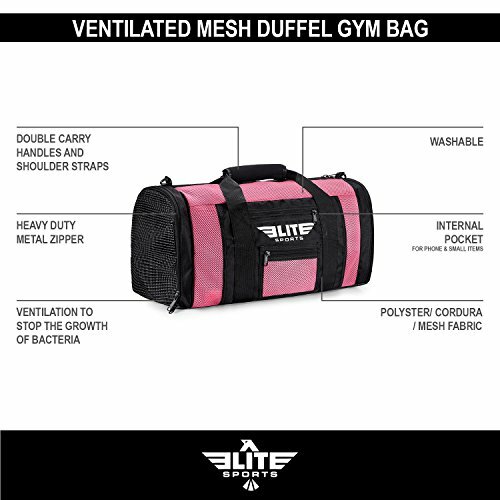 The main/largest compartment of the bag is made of a high-quality mesh material. On the off chance that I forget to take out my boxing gloves after getting home from a good night of sparring, the mesh material that the bag is made of keeps my gloves and everything else in my bag from getting too smelly from sitting in a zipped-up bag all night. I haven’t had a chance, or need, to wash my bag yet as it stays very well ventilated given its mesh material; however, it does get used pretty frequently as I’m always running from one practice to the next in any one given day and I’m very satisfied with how durable it has been so far. I’ve owned several bags previously that had zippers and straps breaking after a few short weeks of usage and this one has proven to handle heavy, continuous usage thus far. 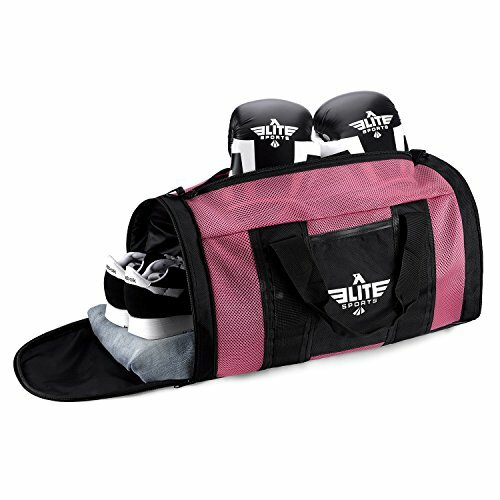 Perfect sized bag for any martial arts practitioner to carry around all of his/her gear. Well ventilated, durable material ensures that it keeps up well with heavy usage. I'm giving this bag a 10 out of 10. Quality, durability, design, everything has surpassed my expectations of it. I even checked out the price online and it's very affordable for how great the bag itself is. 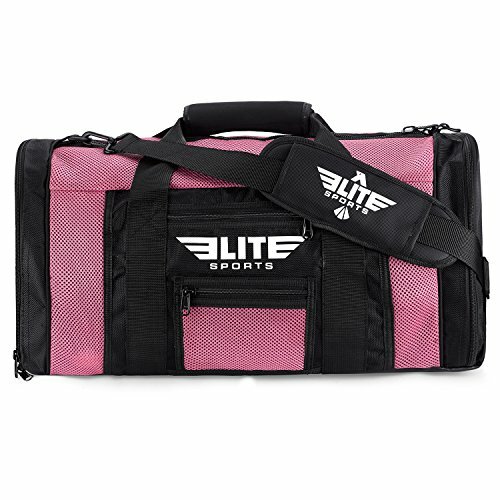 I, Magaly, received this bag from directly from Elite Sports to review. This did not influence the outcome of this review.